A sinfully rich, decadent, and addictive mature love story. I usually mark the day I receive a new Laura Florand book in my Kindle with a delectable piece of chocolate or a rich cup of hot cocoa. When I received Sun-Kissed, the most recent book in Florand’s sinfully tempting and passionate Amour et Chocolat series, I didn’t bother with any extras. I simply clicked on the cover and began immersing myself in her sinfully rich, decadent prose that is so addictive.. It definitely had been too long since I last visited her passionate and arrogant French chefs, chocolatiers, and patisseries, the Corey sisters, and all other significant others. However, unlike the rest of the series (except for Snow-Kissed (novella) that provides a bracketing story to Sun-Kissed), the location of this story is not Paris or Provence, but the Hamptons. Yes, the setting is the marriage of Mack Corey’s daughter, Jaime, to her bad boy chocolatier, Dominique Richard (see: The Chocolate Touch ) at Mack's summer cottage. All of France's top chefs seems to have been transported to the Hamptons by billionaire Corey’s private jet. Don't worry that it's not set in France, there is definitely enough gallic swaggering going on to satisfy the most diehard of Florand’s Francophile audience. However, this is a very different story as it is centered on Cade (The Chocolate Thief) and Jaime Corey’s father, Mack, and his morning partner for beach walking, Anne Winters. It’s clear that for quite some time Mack has had a “thing” for Anne, but has never gone beyond the clearly delineated lines of friendship that she offers. However following her absence in his life during her six-month stint in prison for insider trading and the empty nest of his heart, now that both his daughters are married, it seems that perhaps this situation will change. Yes, this is a grown-up romance written in Florand’s signature lyrical and sensual style. For whomever may doubt this, yes, 50-year-olds (and older) can definitely have a romantic life and can have very hot sexual encounters. Although their respective children may be slightly embarrassed at the evident heat that Mack and Anne produce in one of the most steamy dance scenes ever written, their significant others are able to help them see their parents as people deserving of passion. But it is when Anne spies upon them and hears herself described as “hot” by Cade's husband Sylvain, the acknowledged hot French chocolatier 20 years her junior, that she reconsiders her own concept of herself and her sexuality. May I say that I was always fascinated by empire builder Mack, whose mass-produced Corey chocolate might seem like a joke to his son-in-laws, but who’s clear affection for his daughters - and ultimately his respect for their life choices - evolved over several books. Yes, he's a billionaire and a super alpha male, master of the universe, but there was always something about him that was intriguing. I wasn’t so sure about Anne, who at first glance seemed like a frozen Martha Stewart, not the most sympathetic of heroines to envision. But Florand creates a three-dimensional figure that on the surface is pure perfection, but hidden carefully inside is a woman afraid to trust. This book takes place over the course of about a week, from start to finish. But there is no sense of time being truncated. I savored each turn of the page, highlighted by the witty and sometimes sarcastic dialogue between Anne and Mack as well as their inner musings, the humorous interactions among the French contingent (the description of what occurs with the bridal vehicle is laugh-out-loud hilarious), and the sensitivity of Florand in expressing the harsh hands dealt by fate - the three miscarriages that almost destroyed the marriage of Anne’s son as well as the tragedy that Jaime lived through. In Sun-Kissed: A Novel, Laura Florand offers readers a highly literate romance, with prose that almost becomes poetry at times. But make no mistake, Sun-Kissed is hot and Mack Corey could definitely give his French son-in-laws some lessons in passion, while Anne’s careful and cool elegance hides a flame that burns freely, once kindled, with Mack. 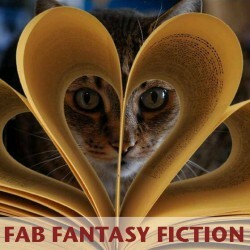 While it is definitely an integral part of the series, this novel easily could be a stand-alone read. 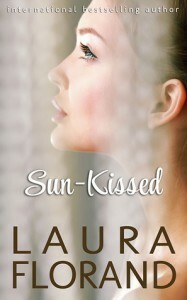 Sun-Kissed by Laura Florand is definitely a five-star, must-read romance that celebrates love of all ages.